READ THIS DOCUMENT CAREFULLY. I UNDERSTAND AND AGREE THAT THE FOLLOWING IS A COMPLETE RELEASE AND WAIVER, AND THAT BY SIGNING IT, I GIVE UP ANY CLAIM FOR INJURY OR ILLNESS OF ANY KIND, INCLUDING RESULTING IN MY DEATH, OR LOSS OR DAMAGE TO MY PERSONAL PROPERTY. I FURTHER UNDERSTAND THAT, BY SIGNING THIS AGREEMENT, I WAIVE MY RIGHT TO A JURY TRIAL. In consideration of being permitted to participate in Coach Camille Herron and Conor Holt Training Programs through Run with Camille Coaching, I, for myself, my agents, attorneys, representatives, affiliates, heirs and assigns, and all persons claiming by, through, for or under me or any of them or on my or any of their behalf, do hereby release, waive, covenant not to sue and discharge Coach Camille Herron and Conor Holt, and Run with Camille Coaching , together with his and its affiliates and its and their respective predecessors, successors, and assigns, both jointly and severally, and its and their current and former officers, directors, employees, agents, representatives, members, shareholders, owners, partners, heirs, executors, and administrators (hereinafter referred to collectively as “Marathon Releasees”), of and from any and all manner of actions and causes of action, suits, debts, claims (including the negligence of Camille Herron and Conor Holt), liabilities, and demands whatsoever in law or in equity which I or they ever had, or now have, or may have, or which my heirs, executors, or administrators hereafter may have by reason of any matter, cause, or thing whatsoever (collectively, “Claims”), including but not limited to any and all Claims, arising from or out of, or in any way related to, personal injury, accidents or illnesses (including death), and property loss arising from or out of, or in any way related to, but not limited to, participation in a running, walking, cycling, swimming, conditioning, multi-sport and/or any other athletic training program (collectively, “Training Programs”). ASSUMPTION OF RISKS: Participation in Training Programs carries with it certain inherent risks that cannot be eliminated regardless of the care taken to avoid injuries. I know that training is a potentially hazardous activity and certify that I am in good health and physically fit to enter into a Training Program. I acknowledge that I am aware of the many risks involved in athletic training in general and running training specifically, which risks include by way of example and not limitation: 1) minor injuries such as scrapes, bruises, sprains and strains, 2) more serious injuries such as joint, muscle and bone injuries, concussions and other head injuries, heat-related injuries such as heat stroke and heat exhaustion, dehydration and over-hydration conditions such as hypothermia, and 3) catastrophic injuries and conditions such as heart attacks and other conditions or injuries which could be fatal. I have read the previous paragraph and I know, understand, and appreciate these and other risks that are inherent in training for and participating in road, trail and track running and racing and any conditioning and cross- training activities associated with participating in Training Programs. I hereby assert that my participation is voluntary and that I knowingly assume all such risks. INDEMNIFICATION AND HOLD HARMLESS: I also agree to INDEMNIFY AND HOLD HARMLESS Coach Camille Herron and Conor Holt, and the other Marathon Releasees, from and against any and all losses, liabilities, obligations, damages, Claims, judgments, assessments, penalties, costs and expenses, including attorneys’ and other professionals’ fees and disbursements based upon, attributable to, resulting from, or in any way related to, the breach or violation of any agreement, covenant, obligation or other provision set forth herein, or based upon, attributable to, resulting from, or in any way related to, my involvement in Coach Camille Herron and Conor Holt or Run with Camille coaching programs. SEVERABILITY: The undersigned further expressly agrees that this Waiver of Liability, Assumption of Risks and Indemnity Agreement is intended to be as broad and inclusive as is permitted by the law of the State of Oklahoma and that if any portion hereof is held to be invalid by a court of competent jurisdiction, it is agreed that the balance shall, notwithstanding such holding, continue in full legal force and effect. ACKNOWLEDGMENT OF UNDERSTANDING: I have read this Waiver of Liability, Assumption of Risks, and Indemnity Agreement, fully understand its terms, and I understand that I am giving up substantial rights, including my right to sue. I acknowledge that I am signing this Agreement freely and voluntarily, and intend by my signature for it to be a complete and unconditional release of all liability to the greatest extent allowed by law. 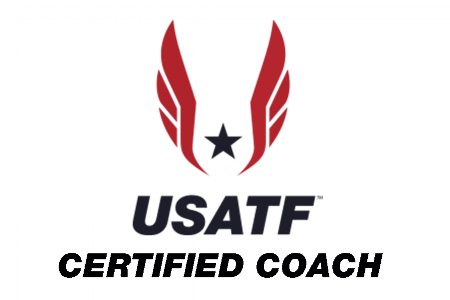 In consideration of the acceptance of my application for coaching by Run with Camille Coaching, I agree as follows: I hereby acknowledge that I have read and understand the section of the Run with Camille Coaching website entitled “Training Plans” and agree to abide by all terms set forth therein, including payment terms. CANCELLATIONS, REFUNDS, AND MANAGING PLAN: I further understand and agree that once a monthly training plan is purchased, it is not cancellable or refundable. However, if you get an injury and need a month or more off from coaching, we can pause all coaching and can restart again when you are healthy. This Agreement represents the complete understanding between the parties regarding the matters covered by this Agreement, and I have not relied upon any oral statements or representations other than what is set forth in writing in this Agreement. This Agreement may not be modified, unless such modification is embodied in a writing executed by a member of Run with Camille Coaching. I acknowledge and agree that this Agreement is made and entered into in the State of Oklahoma. This Agreement will be governed and enforced in accordance with the laws of the State of Oklahoma without regard to choice of law provisions. All claims, disputes, questions, or controversies arising out of or related to this Athlete Waiver and Release, Assumption of Risk and Indemnification Agreement, including without limitation the construction or application of any of the terms, provisions, or conditions of this Agreement or any claims arising out of or related to my participation in any activity related to or ancillary to the Run with Camille Coaching program (“Arbitrable Controversies”), will be resolved exclusively in final and binding arbitration in accordance with the Commercial Rules of the American Arbitration Association (“AAA”), or successor rules then in effect. Any such arbitration must be initiated and completed in Oklahoma and will be conducted and administered by AAA, or, in the event AAA does not then conduct arbitration proceedings, a similarly reputable arbitration administrator. The arbitrator will apply the substantive law (and the law of remedies, if applicable) of the State of Oklahoma, and the arbitrator is without jurisdiction to apply any different substantive law. I acknowledge that I am voluntarily agreeing to waive my right to a jury trial and to submit any and all Arbitrable Controversies, claims, causes of action or demands to final and binding arbitration in the State of Oklahoma. The arbitrator shall be vested with full authority to enforce the indemnification provision above in the event of any action or arbitration and shall award attorneys’ fees and costs, including the costs and fees associated with the arbitration, pursuant to Paragraph 5 above. Should any of the provisions of this Agreement be declared or be determined to be illegal, invalid or unenforceable, the validity of the remaining parts, terms or provisions shall not be affected. Any illegal or invalid part, term or provision shall be deemed not to be a part of this Agreement. Signature pages transmitted by facsimile or in the form of a PDF shall be deemed to be original signature pages. I have carefully read this agreement and understand that it is a release and waiver of liability, an agreement to indemnify Run with Camille Coaching and the other Released Parties, and a promise not to sue or make a claim and is intended to be as broad as possible (the “Release”). I am aware that this Release is a contract between the Released Parties and me and that I cannot participate in any Run with Camille Coaching program unless I enter into this Release, which I am doing of my own free will. In executing this Release, I acknowledge that I have not relied on any representations, inducements or promises made by the Released Parties and that I am under no obligation of any kind to sign this Release (other than as a condition of participating in the Run with Camille Coaching programs). I further represent that I am at least 18 years of age at the time I execute this Agreement. This waiver, release and indemnification agreement specifically embraces each and every activity sanctioned, authorized or promoted by the Released Parties and applied to each and every program or activity in which I may participate with Run with Camille Coaching or a Released Party, and has the same effect as if executed after each and every activity or program in which I participate so that the parties herein intended to be released and indemnified shall be fully and effectively released and indemnified as to each and every event herein above described.